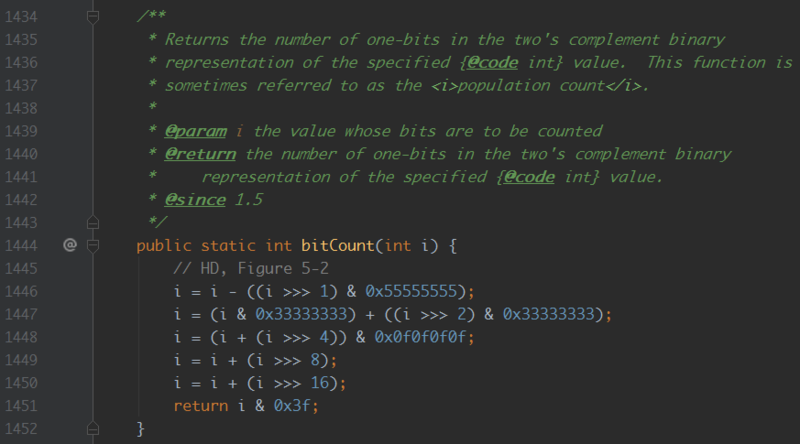 Function int bitCount(int n) returns how many “1”s does the number n have expressed in the binary form. For example, 0b101 is the binary form of number 5, so bitCount(5) returns 2. the naive way Check if each bit equals 1 and return the sum: the optimized naive way Consider the number 0b1. After the first right shift, 31 … Continue reading "[Algorithm 101] Bit Manipulation: Count Bits of Integer (Hamming weight)"